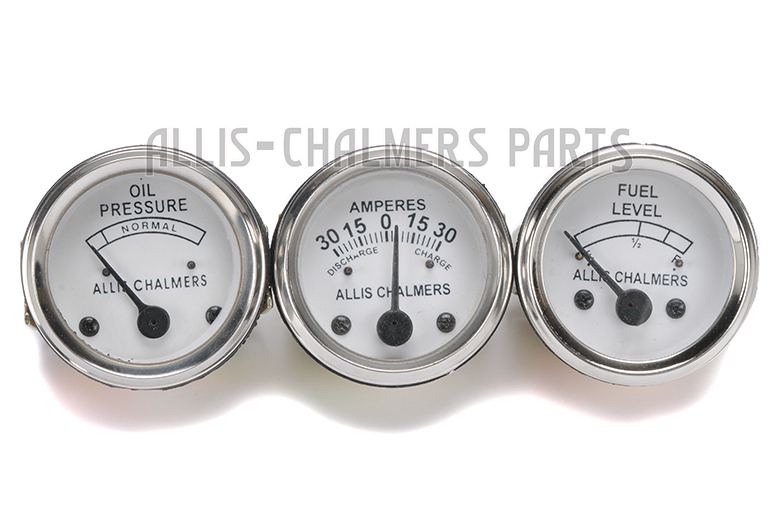 Oil pressure, fuel, amp gauge for allis chalmers b, ib, c, ca, rc, wc, wf, wd, wd45B, C, CA, WD45 model engine(s). 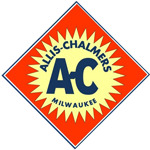 10" Reman Pressure Plate For Allis Chalmers: WC, WD, WD45, WF. 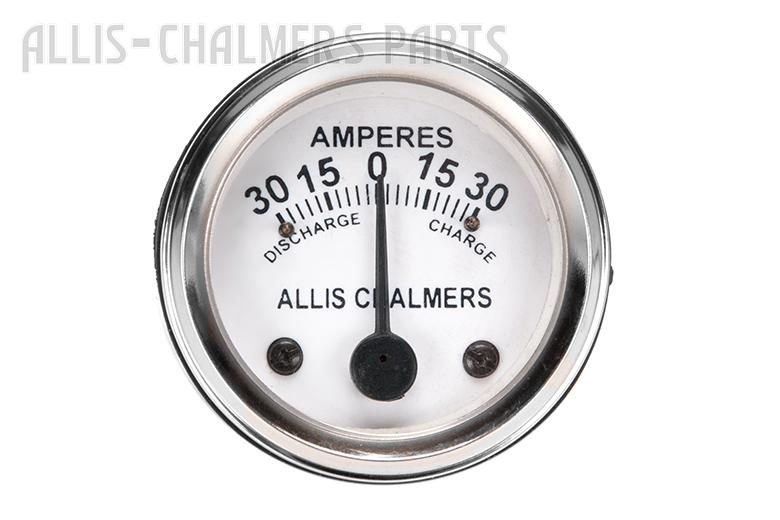 Allis-Chalmers Amp Gauge 30 30 - Allis-Chalmers AC B, C, CA, G, RC, WC, WF, WD, WD45, WD45 Diesel, D10, D12, D14, D15, D17, D19, D21, H3, HD3, 170, 175, 180, 185, 190, 190XT, 200, 210 And 220. 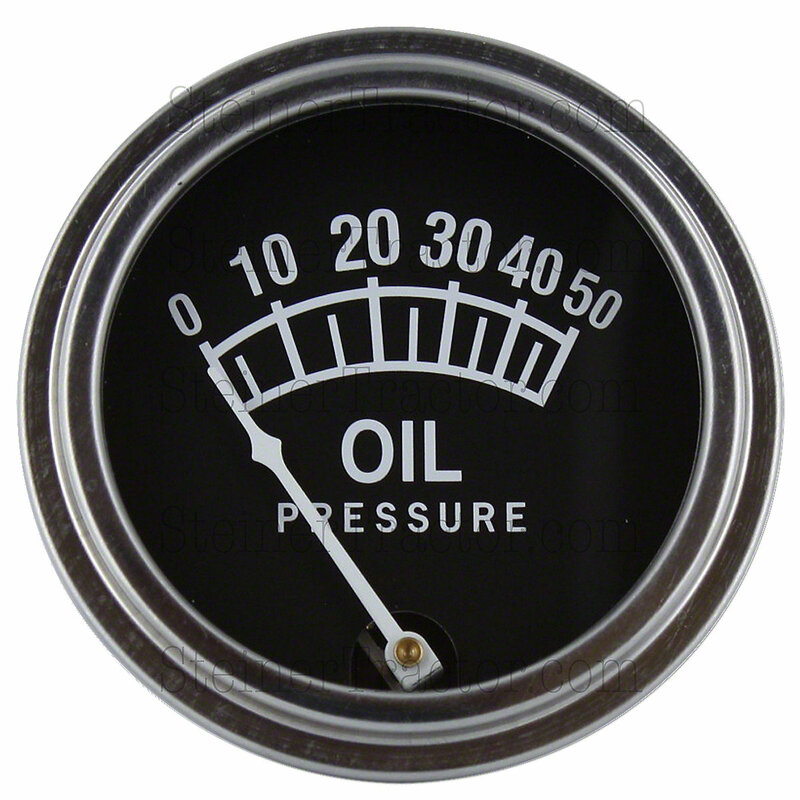 Oil Pressure Gauge For Allis Chalmers D10, D12, D14, D15, D17 , H3, I40, I400, I60, I600, WD45. Traction Booster Gauge- Allis Chalmers CA, D10, D14, D15, D17, D19, WD, WD45.